The promotional carnival tote bag - four-color process contains 20% recycled post-industrial polypropylene. 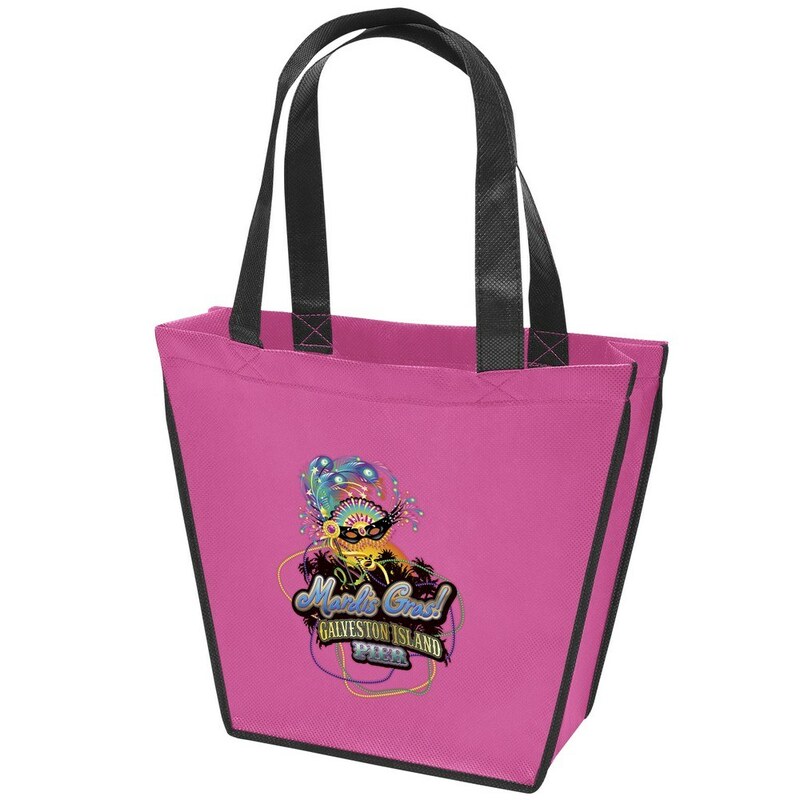 Skyrocket your way to success at the next promotional event by displaying your company’s name on the attractive carnival tote bag - four-color process. Imprint your brand’s logo on this tote, using four-color process to increase brand visibility. 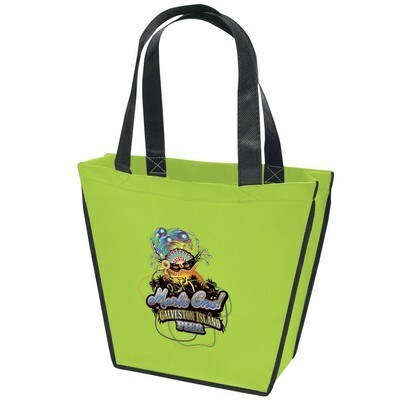 The bag is reusable and 100% recyclable. 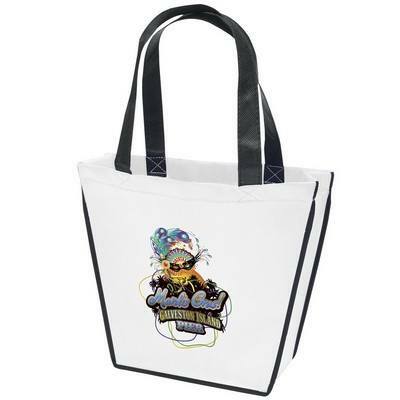 The convenient 18" handles make it easy to Transport the bag. It is available in several bright and attractive colors with black accent piping and plastic bottom insert. Give away the tote bag at trade fairs, carnivals, and tourist spots, to boost brand value and customer satisfaction.